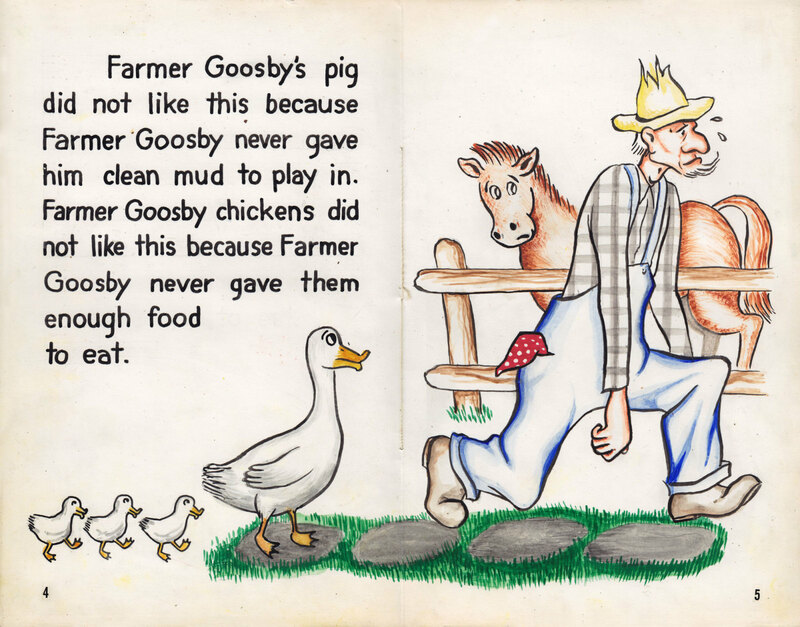 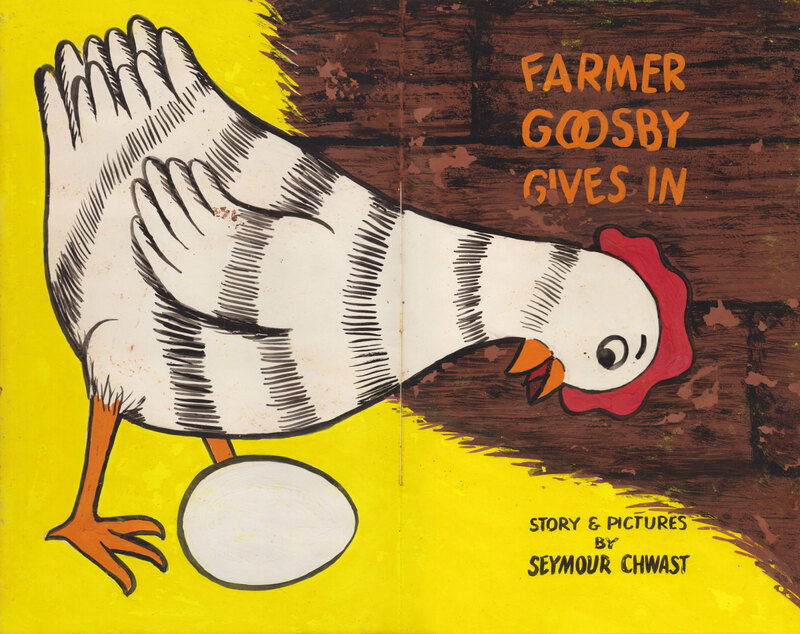 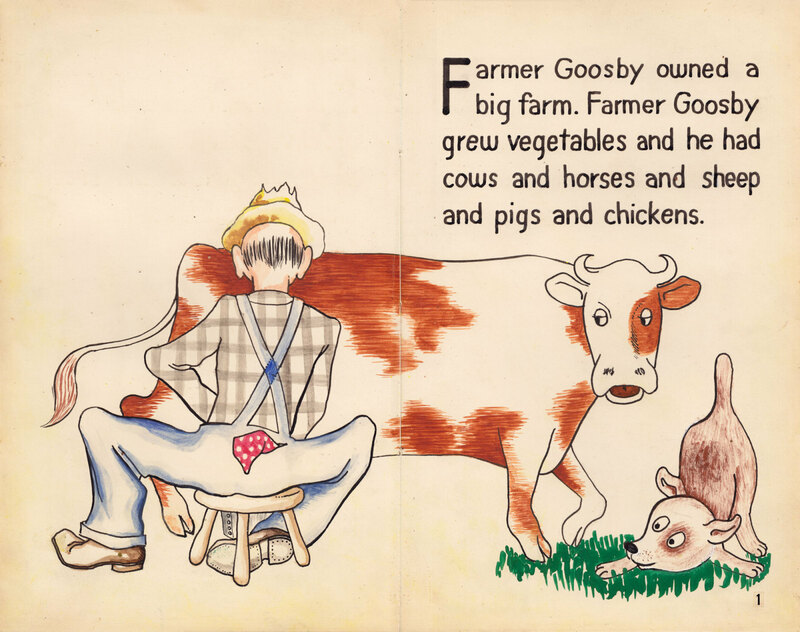 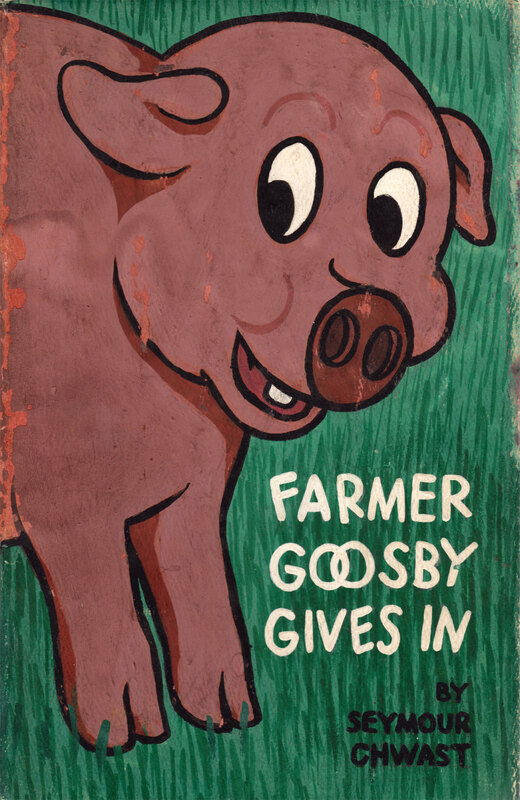 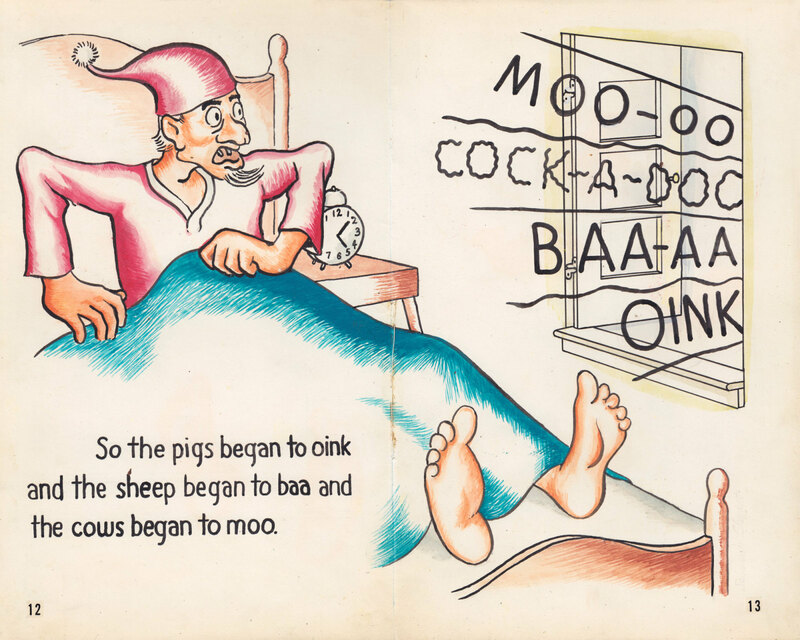 Written, designed, and illustrated by Chwast sometime in the 1940s, Farmer Goosby Gives In tells the story of a pig, chicken, cow, and goat, who go on strike in pursuit of better living conditions. 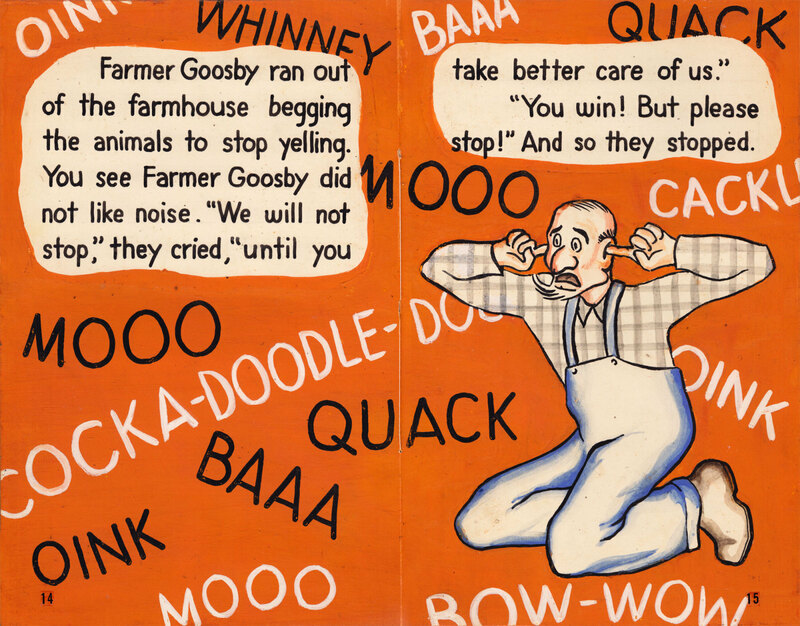 The farm animals finally persuade Goosby to give in to their demands by making lots of noise. 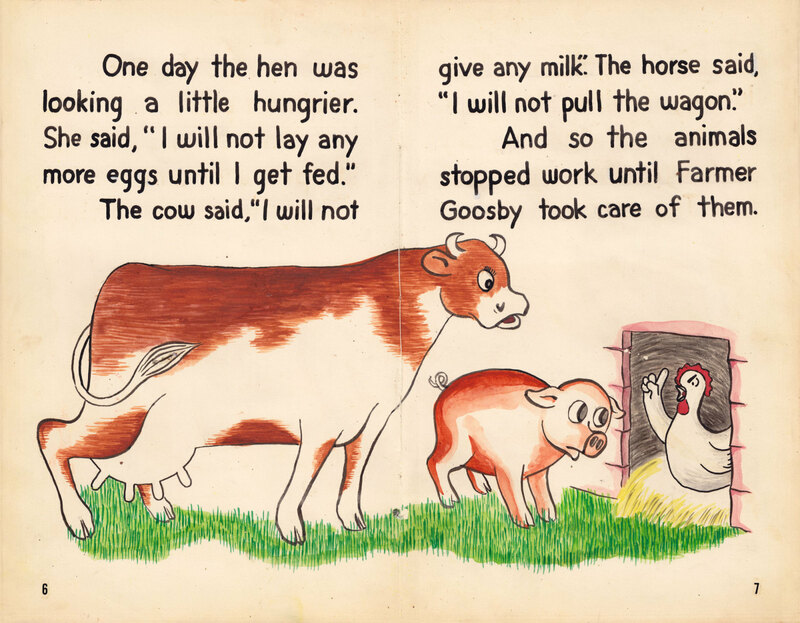 Everyone lives happily every after.